Manic Panic hair colour is the best of its kind. Made from guaranteed vegan and PPD free superior ingredients and never tested on animals. 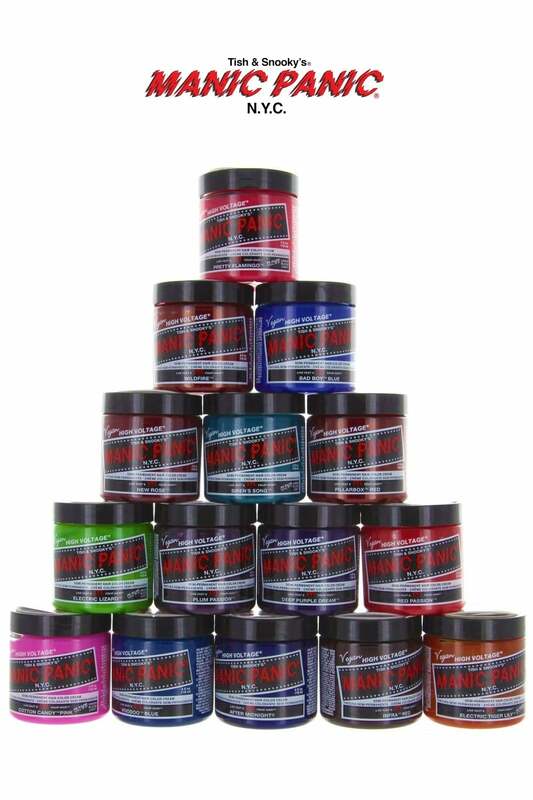 Manic Panic's High Voltage Classic Hair Color Cream comes in all the colours of the rainbow. For the best results, pre-lighten hair first using a bleach kit like Manic Panic's Flash Lightning Vol. 40 Bleach.